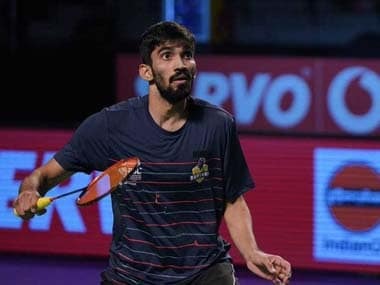 Sydney: Newly-crowned Indonesia Open champion Kidambi Srikanth and title-holder Saina Nehwal will have their task cut out when they lead the Indian challenge at the Australia Super Series starting with the qualifiers on Tuesday. With back-to-back finals, Srikanth is in sizzling form and he will be the favourite when he starts his campaign against a qualifier on Wednesday. "The Australian Open is the last tournament before the World Championship and I am looking forward to it. Indonesia Open is a big confidence-booster for me and I would give my 100 per cent here. 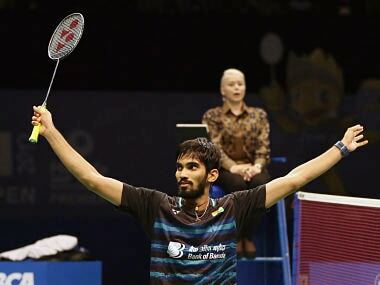 I hope there is a lot more to come," Srikanth said. H S Prannoy has been a revelation in Jakarta when he emerged as a world beater, displaying tremendous grit during his sensational wins over Olympic silver-medallist Lee Chong Wei and Rio gold-winner Chen Long. His run was cut short by Kazumasa Sakai in the semifinals and Prannoy will look to avenge his heart-breaking defeat to the Japanese when he faces him in the qualifiers tomorrow. For London Olympics bronze-medallist Saina and Rio Olympics silver-winner P V Sindhu, a tough challenge awaits them as they lock horns with the finalists of Indonesia Open — Korean Sung Ji Hyun (Runners-up) and Japanese Sayaka Sato — in their opening round. Both Saina and Sindhu were knocked out of the pre-quarterfinals of the Indonesia Open and they will have to quickly recover from their shock defeats against Thailand's Nitchaon Jindapol and little-known Beiwen Zhang of USA. All eyes will also be on B Sai Praneeth, who had clinched his maiden Super Series title at the Singapore Open in April. The 24-year-old, who bowed out in the opening round at Indonesia, will face Indonesian Tommy Sugiarto in first round. Among others, Syed Modi Grand Prix Gold winner Sameer Verma will face Chinese Taipei's Tzu Wei Wang and Ajay Jayaram will fight it out against seventh seeded Ng Ka Long Angus of Hong Kong. In men's doubles, Manu Attri and B Sumeeth Reddy will square off against Japanese third seed Takeshi Kamura and Keigo Sonoda. The young pair of Satwiksairaj Rankireddy and Chirag Shetty will face Hong Kong combo of Law Cheuk Him and Lee Chun Hei Reginald. Ashwini Ponnappa and N Sikki Reddy will take on the Australian combo of Hsuan-Yu Wendy Chen and Jennifer Tam in women's doubles, while Ashwini will pair up with Satwik to revive a partnership that earned them some success at the Sudirman Cup. Ashwini and Satwik will face Hong Kong's Lee Chun Hei Reginald and Chau Hoi Wah.